2 1/2 x 20 x 16 in. 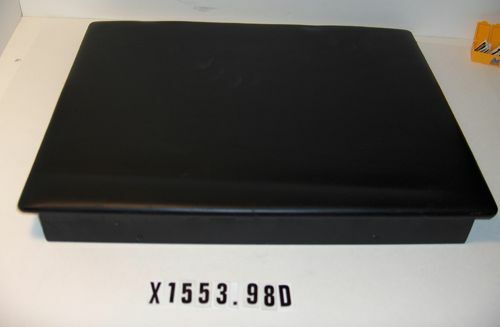 This item comprises seven (7) pieces: A: CPU B, C, D, E: Power supply cover panel removed for replacement by clear plexiglass equivalent--allowing see-through exhibition of power supply. F, G: Seat covers (Naugahyde) removed for plexiglass replacement as described above.